Samsung Galaxy A9 (2018), a phone with a quad rear camera setup, will be launched in India today. To recall, Samsung last week sent invites with the tagline 4X Fun – notably, this was the same tagline it had used for the global launch of the Samsung Galaxy A9 (2018) back in October – leaving no doubt as to which phone would be arriving in India. Flipkart had also chimed in, confirming that it would the Galaxy A9 that would be launched in India. A price estimate was also reported by IANS citing industry sources. The India launch of the Samsung Galaxy A9 (2018) will be live streamed, and you can catch it on the company site. Do also stay tuned to Gadgets 360 for all the details from the event, as they happen. The dual-SIM (Nano) Samsung Galaxy A9 (2018) runs Android 8.0 Oreo on top of Samsung Experience UX and features a 6.3-inch full-HD+ (1080×2220 pixels) Infinity Display Super AMOLED panel with an 18.5:9 aspect ratio. Under the hood, there is a Qualcomm Snapdragon 660 SoC, with four cores clocked at 2.2GHz and four cores clocked at 1.8GHz. This is paired with either 6GB or 8GB RAM options. 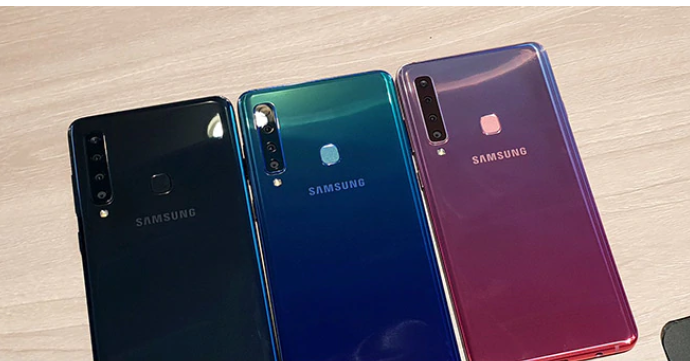 On the back, the quadruple rear camera setup of the Galaxy A9 (2018) includes a 24-megapixel primary camera featuring an f/1.7 aperture, a 10-megapixel telephoto camera featuring 2x optical zoom and an f/2.4 aperture, an 8-megapixel ultra-wide camera with a 120-degree lens and f/2.4 aperture, and a 5-megapixel depth camera with an f/2.2 aperture. There is also a 24-megapixel front camera with an f/2.0 aperture. The phone also has a Face Unlock feature as well as Bixby assistant and Samsung Pay integration.